Una Volta Studio is a creative agency that specializes in elevating artists through portfolio curation and beautiful design. Kayla Clements' experience includes work in art direction, branding, graphic design, and artist management. Raised in the beachy town of Virginia Beach, VA, her inspiration stems from expansive landscapes, earthy- and neutral-tone color palettes, good science fiction, geometric patterns, and astronomy. 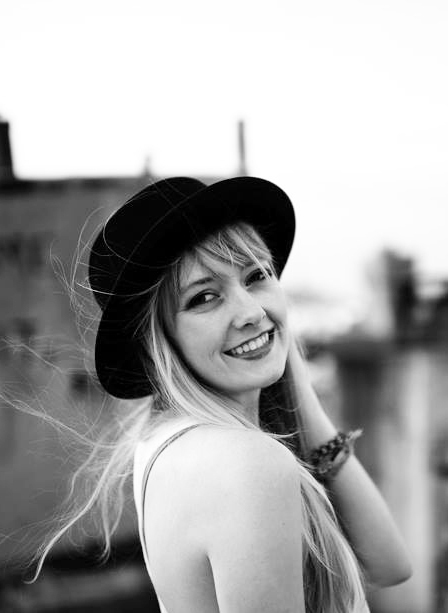 After tasting her way through over fifteen countries and graduating with a degree in Marketing from Virginia Tech, Kayla moved to New York City in 2011 where she spent over five years working in artist management at a top NY photography agency. She is also the author of ‘Daytripper: 60 Days on the Road Exploring America’s National Parks’ - a woman-written, thoughtfully-designed coffee table book inspired by sixty days of #vanlife. Kayla's love of visual storytelling led her to found Una Volta Studio in 2017. She now splits her time between San Diego, CA and Brooklyn, NY. What it’s really like to run a business on the road. Brand identity, product design, and website for luxury hemp wellness brand Luna Volta.